I come from a line of artists. My mother was dancer in the 30s in all Black night club revues in the Los Angeles area, themed after the Cotton Club of Harlem and the Moulin Rouge in Paris. My father was an artist from the Holland. My grandfather was a Dutch impressionist. As a child and teenager I drew a lot, copying pictures for my mother's fashion and pattern magazines. As I entered college, art went to the background as I pursued more practical endeavours, ultimately becoming a lawyer. I did very little drawing for 40 years. I began painting with acrylics. In 2003 I took an oil painting class and have been hooked on the medium ever since. In 2003 I began painting seriously, taking classes from the UCLA Extension, the Pasadena Academy of Fine Arts, its successor school The Entertainment Arts Academy, and the Art Center.  I continue to take classes, attend a regular figure workshop at Studio 117B in San Gabriel, and on most Fridays join some friends for some plein aire sessions in the Pasadena and Altadena areas. As a relatively new (not young) painter, I am still very much involved in the learning process. I feel strongly about becoming technically competent and, at the same time, I am trying to recapture the intuitiveness I had in my fledging endeavours before taking classes. Figures and portraits are my bent. I am moved by the challenges of painting the human form and flesh, but most of all it is that certain something that people communicate in their expressions and body language that attracts me. I am never sure what the subject is communicating, live or in a photo, but that they are is apparent. I want to capture the projection even if I don't understand it. Maybe the most important thing one does while painting is see. I love the seeing.